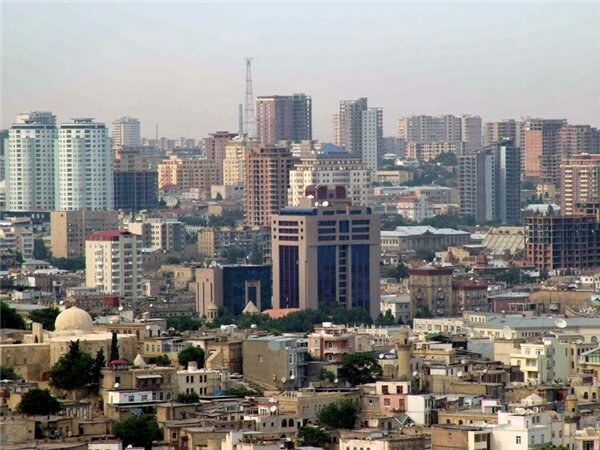 Baku is the capital of the Republic of Azerbaijan. The distance from Moscow to Baku is 2200 km to Reach the capital of the neighboring country by plane, train, bus and private vehicles. From the airport "Sheremetyevo" at 01:05 and 11:25 Airbus A320 flies to Baku. Three hours later the plane lands at the airport "Heydar Aliyev". The price of the tickets varies from 7000 to 13000 R. R. the Exact cost and the time of departure will tell you on the phone - +7 (495)578 65 65. Also to Board a plane to a designated point from the airport "Domodedovo". The departure time at 12:35, 14:40 and 23:35. Interested in Pro flight can be learn by phone +7 (495) 933 66 66. Flying from the middle part of Russia of Tyumen on Thursday. The departure time at 06:05, average ticket price — 7300 p. Also there is a route from Yekaterinburg, Norilsk, Chelyabinsk, and Rostov-on-don. To know about the flight should be on the info line for the nearest airport. From Kursk station of Moscow weekly on Tuesday, Friday and Saturday at 16:49 off the train towards the capital of Azerbaijan. The journey time is 2 days 11 hours 11 min Price second-class ticket starts from 2400 R.
On even days from Tyumen train station is a direct flight 373Е to Baku. There are direct trips from cities of Rostov-on-don and Kharkov. The train arrives to the destination in 1 day 10 hours. The ticket price for a reserved seat is from 1275 R.
Bus to Baku, there are many cities of Russia. From Krasnodar bus departs on Monday, Wednesday and Saturday at 12:30. From the bus station of Astrakhan flight goes through the day. Daily buses with the flight Makhachkala — Baku. From other settlements to get to Baku only with transfers. By car is a road through the Republic of Dagestan. To enter the country without a visa but with a valid passport. From many cities in foreign countries routes by plane and ground transport. Of the 46 cities daily flights come into the airport "Heydar Aliyev". In the train station are trains from 12 cities of Russia and Ukraine. Often trains with following Tbilisi — Baku, Baku-Tehran — Baku. There are no routes in Baku with the neighboring country of Armenia. The boundary between the States closed for its entire length. Difficulty of entry can also occur for those who have in the column "Place of birth" is Armenia.